Pages and Lessons are the cornerstone of every course. They may seem similar, but they have their differences. – create multiple slides inside to deliver all the theoretical information to your learners. 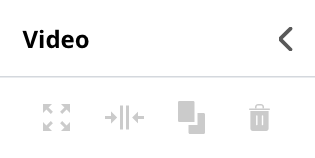 When at this element, a learner can go back and forth through the slides before proceeding to the next element connected by the default arrow. Lesson is keeping the whole sequence of pages in one element so it will keep it nice and tidy on the course map. and is best used for the purposes of navigation between parts of the course like a menu, for the welcoming and goodbye pages in a course, for pages like “you have failed the test” and “you have passed the test”. Page is the only element in the system that can have outgoing click transition connections. open the course for editing (unpublish it if necessary), then drag and drop the Page element from the toolbar on the left to the pathboard. Once you have added the page to the pathboard, open it for editing to add content to it. drag and drop the Lesson element from the toolbar on the left to the pathboard, or drag a connection from the previous element. Double click the added Lesson to edit the contents inside. Click + to fill your lesson with more pages. Pages can be designed from scratch, or you can use one of the pre-configured templates to create the basic layout. 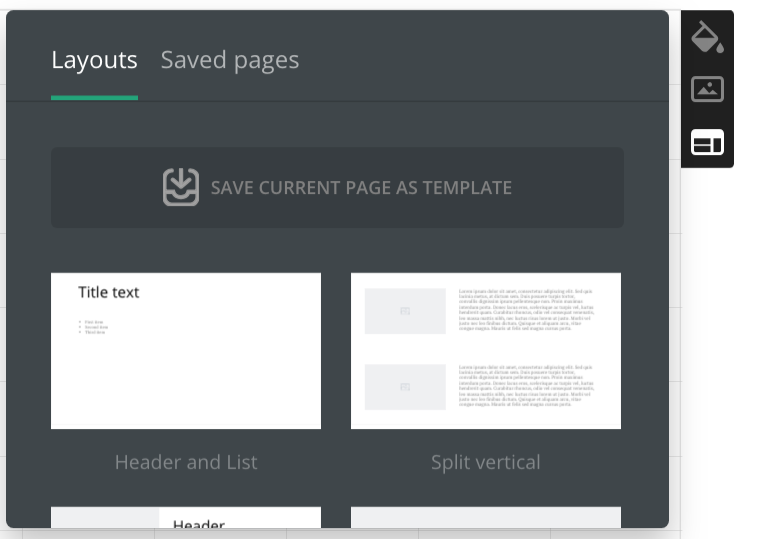 Page templates contain placeholder images and fragments of text that you can replace with actual text and images. 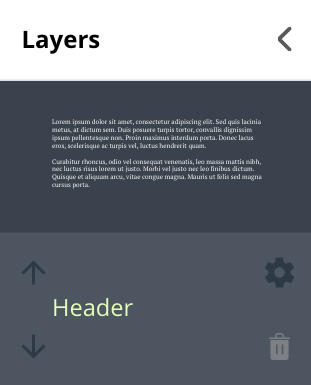 To create a page using a template, click the "Layouts" icon found in the upper right corner of the screen, select the desired template, and click Apply. Once the template has been applied, you can edit the placeholder objects according to the steps described further in this topic. Applying a template to a page will remove all objects present on the page. be it text, image, video, iframe, or a shape, click the corresponding element from the toolbar on the left. 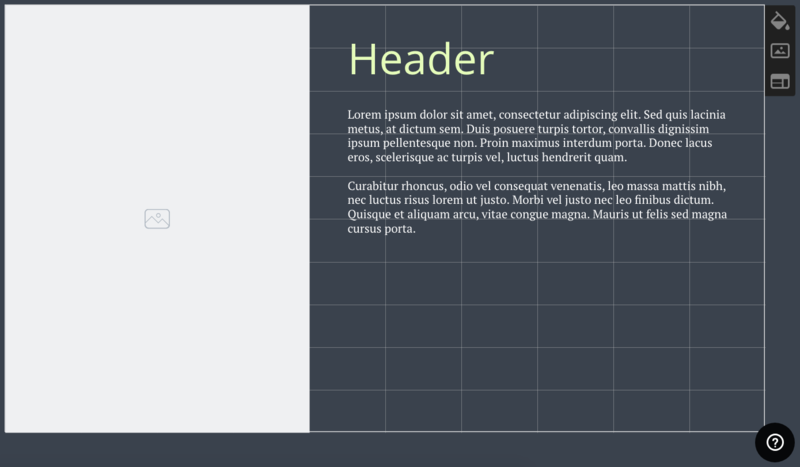 Note: objects placed outside the grid may not be displayed on the page when a learner takes the course. Images, text frames, shapes and videos on the Page element can become clickable buttons when you set them as target objects to a click transition. Click "Maximize" icon to increase the size of the selected object so that either its height fits the height of the page, or that its width fits the width of the page. Note that the ratio between the object's width and height remains constant. 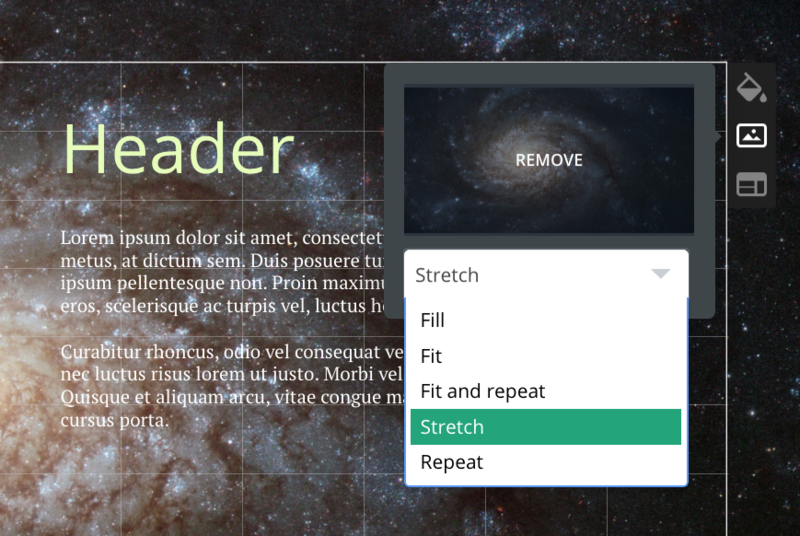 Click "Fit to width" icon to make it so that the selected object fits the width of the page. Click the "Clone" icon to copy the selected object. A copy of the object is created on a separate layer. Layers are explained further in this article. Click the "Delete" icon to delete the selected object. Once you have finished customising your text, click anywhere on the screen to close the customisation menu. Click the "Maximise" icon to increase the size of the selected object so that either its height fits the height of the page, or that its width fits the width of the page. Note that the ratio between the object's width and height remains constant. Click the "Crop" icon to select a part of the image to be shown on the page. Click the "Clone" icon to copy the selected object. A copy of the object is created on a separate layer. Once you have finished customising your image, click anywhere on the screen to close the customisation menu. Click the "Select interval" icon to select a part of the video to be shown on the page. Upload a video from your computer or device. Use Youtube to search for a video hosted there and use it. See the list of recently used videos and pick one from the list to use. Enable autoplay. This makes it so that the video starts automatically once a learner arrives on the page. Add a border to the selected object. You can choose to make the border either a solid or a dotted line, and set the border's thickness and color. Once you have finished customizing your video, click anywhere on the screen to close the customization menu. Upload a .SVG file from your computer or device. Set the opacity of the selected object, from 100% to 0%. Choose a color to fill the shape with. Add a border to the selected object. You can choose to make the border either solid or dotted line, and set the border's thickness and color. Once you have finished customizing your shape, click anywhere on the screen to close the customization menu. Click "Maximise" the icon to increase the size of the selected object so that either its height fits the height of the page, or that its width fits the width of the page. Note that the ratio between the object's width and height remains constant. Specify the URL of the object to be embedded. Set the opacity of the embedded object, from 100% to 0%. Add a border to the embedded object. You can choose to make the border either solid or dotted line, and set the border's thickness and color. Once you have finished customizing your iframe, click anywhere on the screen to close the customization menu. Every object on the page exists on a separate layer. This comes into effect to determine what object is displayed on top when two or more objects overlap. To see all the layers, click the "Layers" icon. 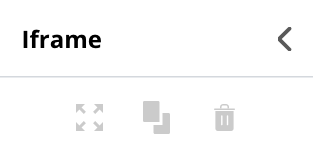 Click the "Arrows" icon or the icon to move the layer up or down the list. Objects on layers higher on the list are displayed on top of objects on layers lower on the list when two or more objects overlap. Click the "Settings" icon to customize the object on the layer. Click the "Delete" icon to delete both the layer and the associated object. When you have finished working with the layers, click anywhere on the screen to close the layers menu. Once an object has been added, you can relocate it, resize it, rotate it, and customize it. The grid. Align objects using the grid as a reference. If you move the horizontal or the vertical edge of an object close to one of the grid lines, the object will "stick" to it. This makes it easier to move the object along one of the axes without shifting its position along the other. Alignment lines. Alignment lines appear when you move an object in such a manner that either its center aligns with the grid (either vertically or horizontally), or one of its edges aligns with the edge of a different object. This helps you align objects against the grid and each other. hold the left mouse click and hover over the objects you'd like to select. When you see the selected objects in one frame click anywhere within to change the location. click it, and then click one of the four corners of the object and drag them. Note that the ratio between the object's width and height remains constant. If the selected object is a text, you can also click the arrow icon on its right side to make the text object wider or more narrow. click it, and then click the circle icon connected to the object's bottom right corner and rotate it clockwise or counterclockwise. To customize an object, click it. The available customization options depend on the type of the object. Click the top "Color" icon to fill the background with a single color. Click the middle "Image" icon to either upload an image from your computer or device, or to use Google to search for an image hosted elsewhere, and use it as the background. Your page can be customized further with an alternative color scheme and typography. 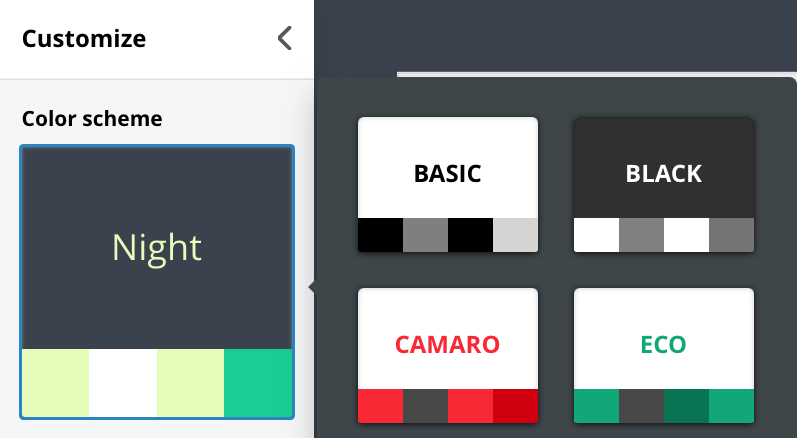 To choose a different color scheme, click the "Customize" icon, then click the name of the currently selected color scheme. Select a new one from the menu, then click anywhere on the screen to close the customization menu. 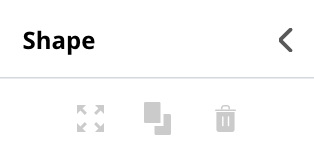 To change the typography, click the "Customize" icon, then click the name of the currently selected typography. Select a new one from the menu, then click anywhere on the screen to close the customization menu. The font at the top will be used for text with the "heading" preset applied, and the font at the bottom will be used for text with the "normal" preset. When you have finished editing the page, it is time to see how it would look in the course. To preview the page, click the "Eye" icon. If you are satisfied with the look of the page, it is time to save the changes you made and exit the page editor. 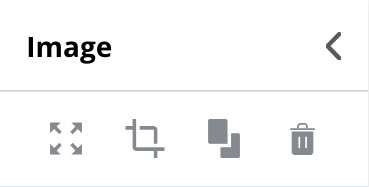 To save the changes you made to the page, click the "Save" icon. To exit the page editor and return to the course builder, click the "Close" icon.